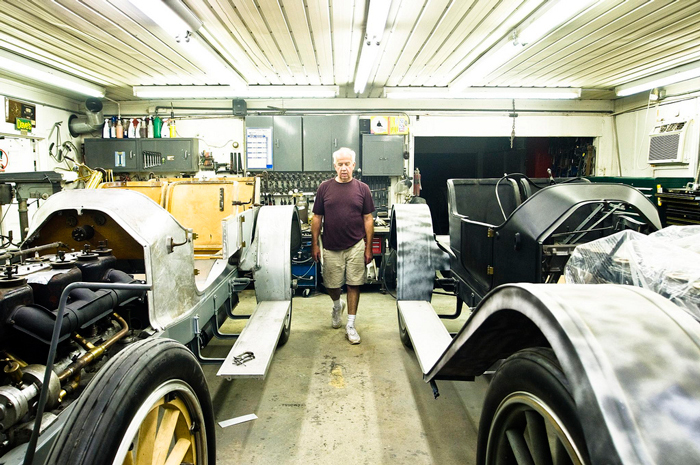 "[He] participates in a program at the Gilmore Car Museum in Hickory Corners, Mich., called Gilmore Garage Works. This unique and successful vocational effort involves 15 youths who. . . all have an interest in autos and auto mechanics. Twice a week after school the mentors spend time with the youth, working on and restoring four vintage vehicles - which have been donated to the program. For Griffioen, the Garage Works program is a dream come true. After years of watching helplessly as vocational programs were eliminated in schools, he had a concern for individuals, like himself, who prefer to work with their hands and have the potential and aptitude to become skilled workers in the automotive field. He said he often wished he could pass on to young people the knowledge it took him decades to learn. More than a year ago he visited the program and was hooked." I literally grew up in this shop surrounded by old cars and at one point he even moved an old car into our house (long story). 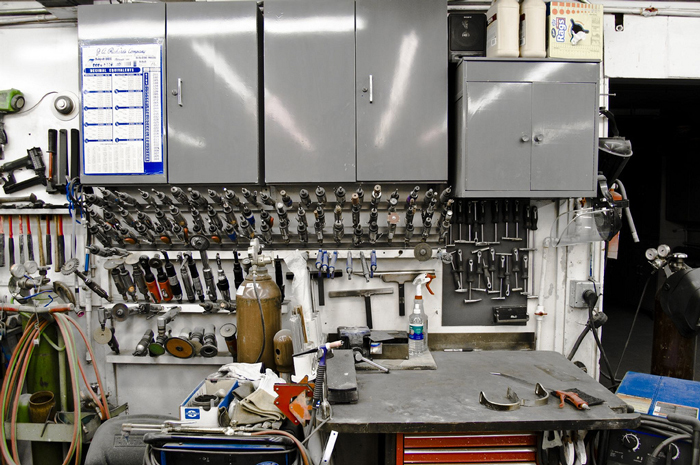 Every time I go home I like to visit his shop just to look at all the tools he's accumulated over the years. And to his Grandson, this is probably the coolest place in all the world. The article failed to mention that both my dad and my mom have also been creating these incredible wooden fish that my dad sculpts and shapes with his woodworking equipment and my mom paints (when they have their upcoming gallery show, I'll share them here). It also didn't mention their landscaped backyard (all DIY, complete with three waterfalls: this article from the local paper last summer describes it) or the fact that since retiring, my mom has been teaching classes at the local university. I'm so proud of them! Just about everything I learned about hard work, creativity, and not following a prescribed path in life to forge my own (for better or worse) I learned from those two.